Triple7 Pristine Clean cuts through tough mould and scum, and removes odours at their source. This heavy duty bathroom cleaner leaves surfaces fresh and sparkling without harmful chemicals or an unpleasant vapour. Triple7 Pristine Clean is suitable for all bathroom surfaces including tiles, grout, concrete and plastic. It effectively removes scum, mould and unpleasant odours, and helps prevent them from re-occurring in between cleaning. Suitable for showers, baths, basins, toilets, urinals and bidets. 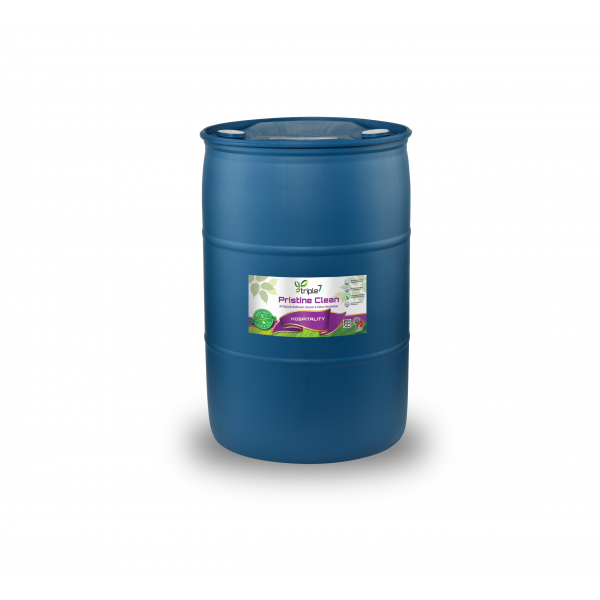 Suitable for composting toilets, drop & site toilets. 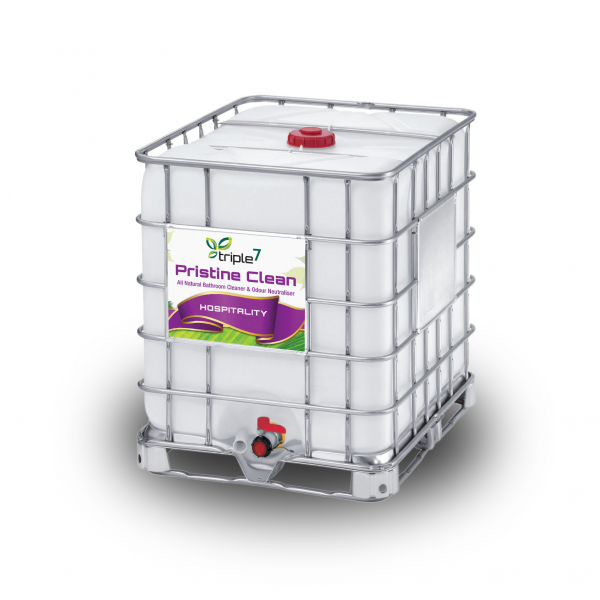 Triple7 Pristine Clean is free of petroleum products, glycol ethers, terpenes, strong acids, caustics, phosphates, ammonia and volatile organic compounds (VOC’s). It is odourless, low-allergy, non-toxic, non-hazardous and non-corrosive. 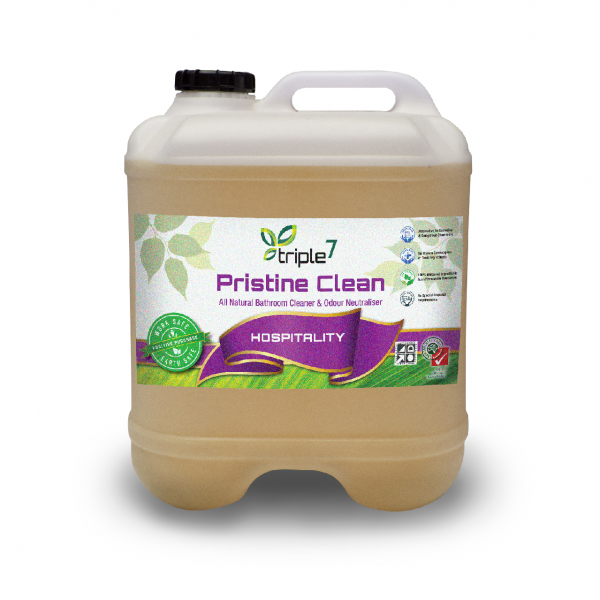 Triple7 Pristine Clean is an environmentally responsible product made from renewable sources. It is readily biodegradable and safe for waterways, septic tanks and bio-based effluent systems. 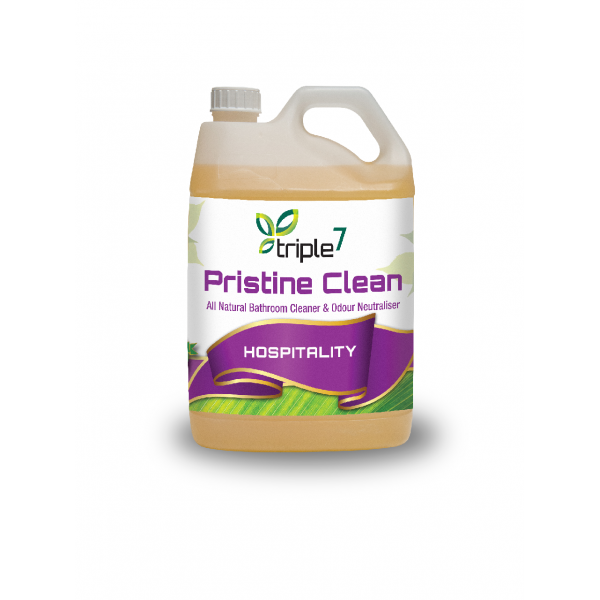 Triple7 Pristine Clean contains all natural plant based surfactants and botanical buffering agents. It is suitable for use in the production of organic food and fibre. The product contains no ozone depleting chemicals including hydrocarbons and does not release volatile organic compounds (VOC’s) into the air.